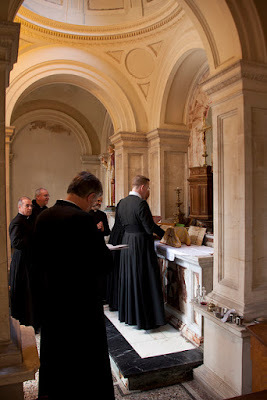 The Latin Mass Society of England and Wales will be holding a residential training conference for priests, deacons, seminarians and laymen wishing to learn to celebrate or serve Mass in the Extraordinary Form. It will be held at Prior Park College near Bath, England, from Monday, April 9th to Thursday, April 12th. Training will be in small groups. 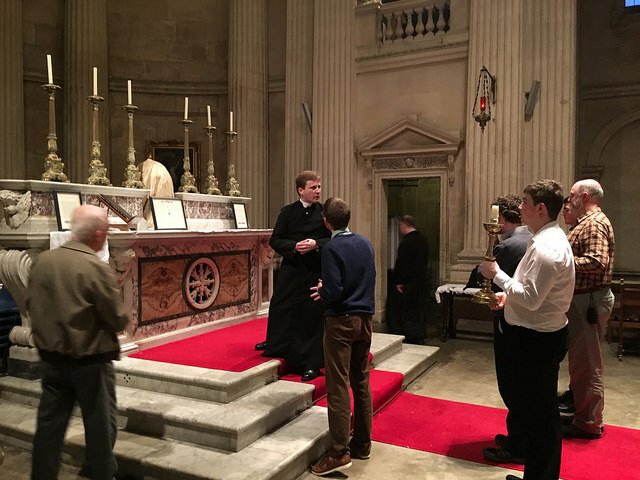 For clergy and seminarians, this will be provided by priests experienced in the Extraordinary Form; for servers this will be provided by laymen with years of experience in the Extraordinary Form. Training group at the high altar. 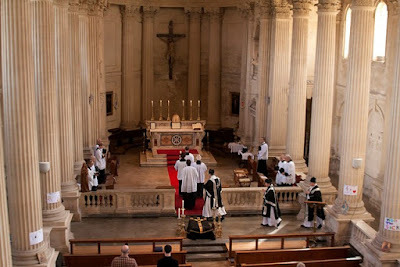 Low Mass, Missa Cantata and Solemn Mass will be covered, although participants will be expected to be proficient at Low Mass before progressing to the more complicated forms. No previous experience is necessary, and participants will be divided into groups, according to their abilities. 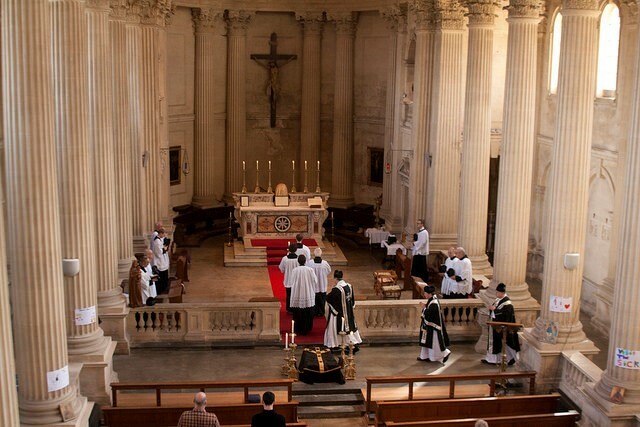 There will be daily Mass and other liturgies intended to be an example of best practice. Prior Park, which currently houses an independent Catholic school, is set in 28 acres of parkland, and was built in the 1730s as a country mansion for a local quarry owner named Ralph Allen. 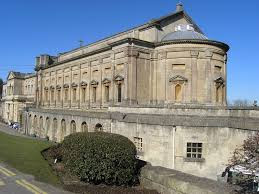 Its architect, John Wood, used Bath stone from Allen’s quarries to create a building in the Paladian style on a hillside site that overlooks the city. The grounds contain several impressive features, including an ornamental bridge, also in the Paladian style, over an artificial lake. After Allen’s death, the property passed through a number of owners, and in 1828 was purchased by Bishop Baines, the Vicar Apostolic for the Western District. His intention was to establish a seminary on the site, which he eventually did, along with a school. It was also his intention to build a cathedral at Prior Park, but this never happened, due to the ever-present shortage of money. However, he did manage to build a very fine chapel. 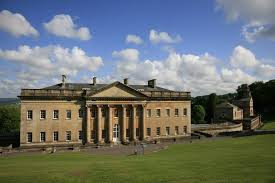 Prior Park College is very suitable for the needs of the LMS training conference. There is plenty of sleeping accommodation in single rooms (not ensuite), and common rooms will be available for relaxation at the end of each day. Also, Prior Park has a reputation for serving excellent food. The chapel is particularly beautiful, and retains its original High Altar and reredos in a spacious sanctuary very suitable for the traditional liturgy. It also has four side altars, which will be used for the training by the smaller groups. Prior Park is located on a hill about a mile from the centre of the City of Bath, which has many Roman remains. Bath is about 100 miles to the west of London, and there has a good train service connecting Bath with London and other parts of England.